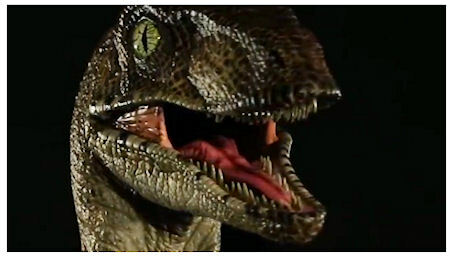 If you're able to spend $1200 on a piece of movie memorabilia, this 1:1 replica bust of Jurassic Park's Velociraptor affectionately known as 'Clever Girl' would certainly be something worth adding to your collection. The velociraptor bust, made by Chronicle Collectibles, is molded and cast directly from the original Stan Winston Studios casting. It's currently available for pre-order and is estimated to ship in 2nd Quarter 2017.